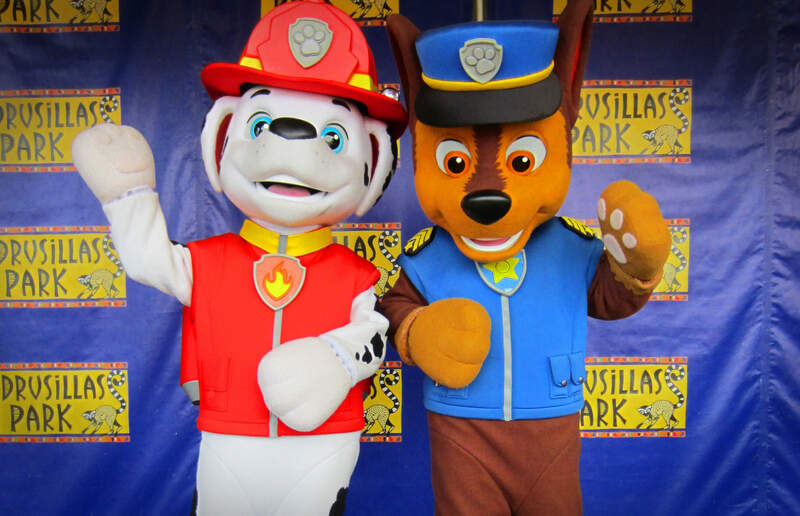 Chase and Marshall from PAW Patrol are coming to Drusillas! PAW Patrol are coming to Drusillas! Are you ready for action? Drusillas Park is getting all fired up for the first appearance this year of two of PAW Patrol’s finest recruits, Chase and Marshall. The heroic pups are preparing to save the day on Wednesday 11th April. PAW Patrol are on the case and Chase and Marshall will be eagerly waiting to meet visitors in the Events Arena at intervals throughout the day. With all this excitement you’d have to be barking mad to miss it! Peppa Pig and George will also be visiting Drusillas this week! The cheeky pair will be at the Park tomorrow, Tuesday 10th April, from 10:30am. Plus there’s all the usual animal magic in the award-winning zoo, oodles of adventure play, Go Safari! the new three-ride attraction and Hello Kitty’s Secret Garden.